I have spoken quite a few times on the blog about how much we as a family love to read and I've done tons of children's book reviews. I was aware of the Boy/Girl Who Lost His/Her Name books but only by name and not really much about them. Being book lovers, I was thrilled to have the opportunity to review a copy. Obviously, with it being personalised, I had to choose a child and opted for C as I thought it would be more suited to a four year old than a two year old. Creating the book is so simple. 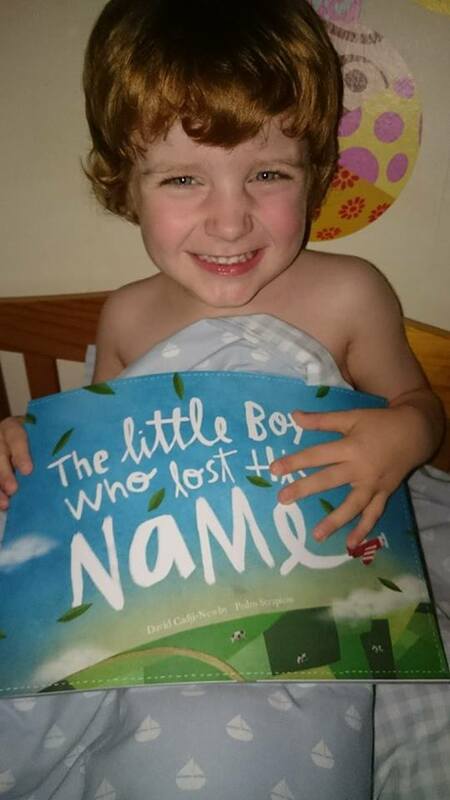 You pop in your child's name, the language that you want the book in and your child's gender, you can also include a personalised dedication (for free) at the front which is lovely if you are giving it as a gift. Once you've chosen gender you can select different hair and skin colours. C is fair skinned with red hair and red hair wasn't an option so that's something that I would have liked to have seen but I opted for a fair skinned boy with blonde hair. Creation and delivery was really quick, no longer than a week, and as soon as it arrived C was dying to read it. 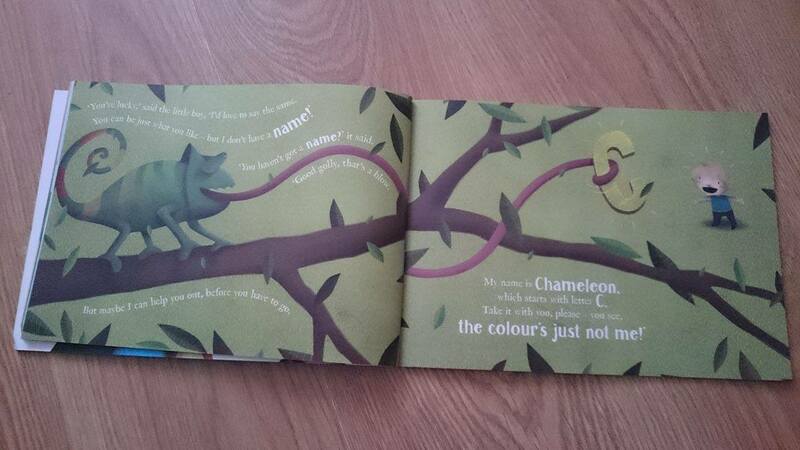 The story starts with your child in bed, realising that their name that is usually on the bedroom door is missing. He searches his room looking for it and under his bed, discovers a rainbow trail. He thinks that if he follows the trail, he might be able to find his name again. On the journey, the child meets different animals, each with a problem that needs solved. The child helps the animals and each one gives him a letter - the one that their name begins with. At the end of the story, we see the letters together to spell out your child's name. C loves this book. He's started preschool now and how to spell and write his name is something that he's currently learning. Although the illustration of him had a different hair colour, he knew instantly that is was him. 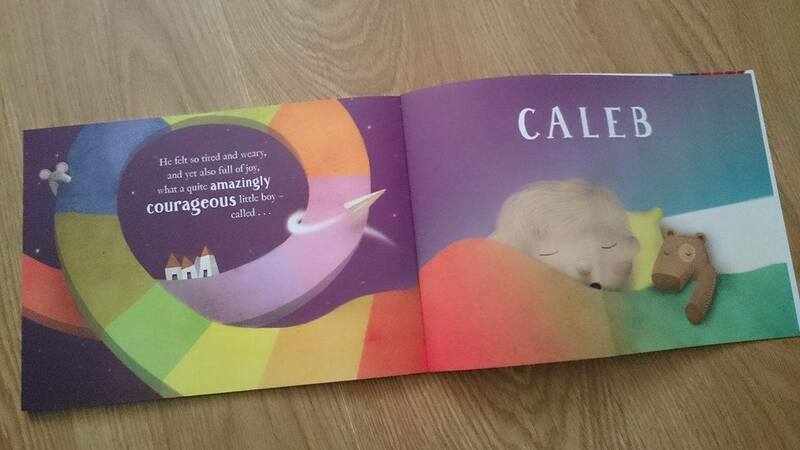 When he saw his name at the end of the book, he excitedly said, "Caleb! It's me!" C has loved having his book read to him and I've enjoyed reading it. It's a easy book, the text flows and I love rhyming books. The illustrations are so beautiful and cover the whole page and C was just drawn in. 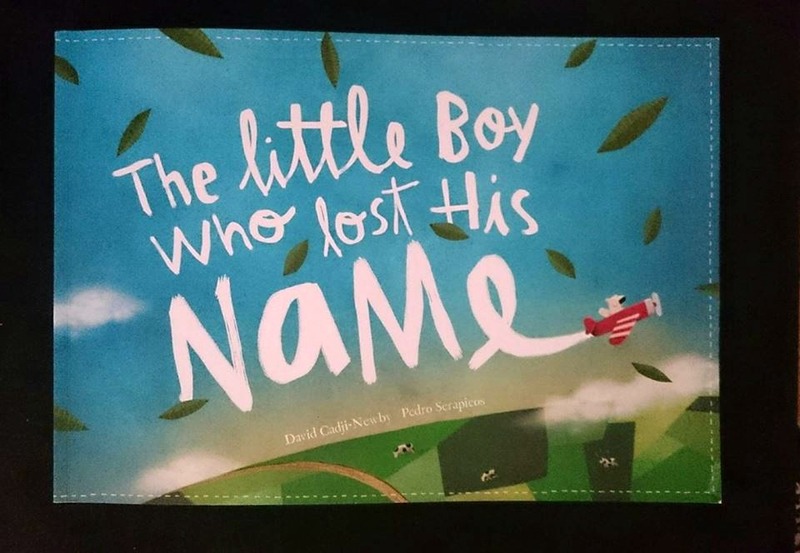 The Little Boy/Girl who Lost His/Her Name books retail at £19.99 for softcover, £24.99 for hardback and £34.99 for Deluxe. You can find out more at the Lost My Name website or you can keep up to date on Facebook and Twitter.